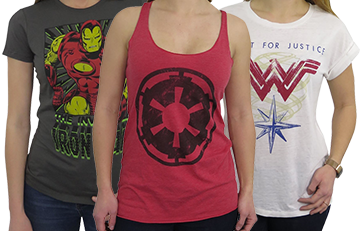 The DC Comics Men's Mystery T-Shirt will probably get you into the Justice League. Or maybe the Legion of Doom. Or perhaps the Guardians of Oa! Perhaps a member of the Bat-Family? You won't know unless you give your luck a try with the DC Comics Men's Mystery T-Shirt! 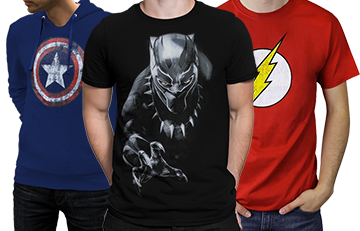 The DC Comics Men's Mystery T-Shirt is a random and super groovy shirt from DC Comics. What will you get? I have no idea! I even sat on that crazy thinking-chair like Batman and I got nothing. 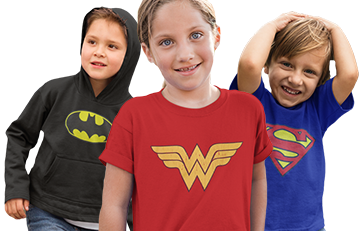 I just know that you'll get a sweet random DC Comics shirt at a reduced price! Booyah! Spend your hard earned money on a tshirt you would actually wear. Thanks for the feedback Randy, it is appreciated. We do try to put some great stuff in our selection of mystery shirts but it going to be a gamble as to whether it will be a shirt you will personally like. I received a muscle Batman shirt. It was a great fit and I love it. The mystery of it was awesome and i was not disappointed by it when it arrived. I bought the shirt because it was cheaper than others and it was a fun I really like my surprise. I love it! Great Design. Good size. It is a very neat shirt. I was just hoping a more diverse character selection. Got a Batman V Superman featuring Batman next to the Bat Signal in the rain just like in the Movie. I didn't like the shirt I ended up with. Would be nice to give a few examples of the characters we like so we don't get a shirt that won't wear. I took a chance and while it is not the top shirt on the site, it is a very solid shirt. The fit is right, which is the most important part.